Sure, it feels like Bachelor In Paradise just ended, but it has still been too long since there's been any new Bachelor nation shows to watch. Luckily, spoilers from Nick Viall's new Bachelor season are now beginning to trickle into the news, since Season 21 has already begun filming. 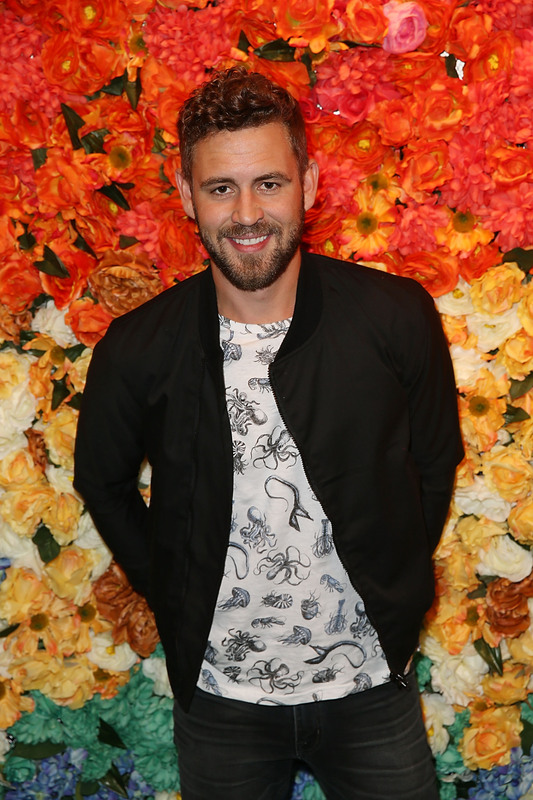 For those who aren't in the know, Viall is this season's Bachelor: He's already been on The Bachelorette twice (on Andi Dorfman and Kaitlyn Bristowe's seasons), and he was on the latest season of Bachelor in Paradise. The decision to make Viall the Bachelor was a bit of a shocker, so there's already plenty of chatter about this season months before it even airs. Shooting for the upcoming season reportedly began in late Sept. 2016. Us Weekly's source reportedly spotted Viall and a date on a ferris wheel at the Balboa Fun Zone in Newport Beach, CA. (For what it's worth, the source reported that the two looked like they were enjoying themselves.) We still have a while to go until the new season airs; ABC hasn't released an official premiere date, but according to host Chris Harrison on Twitter, it'll likely be the first Monday in Jan. – aka, on Jan. 2. Until then, we'll have to keep an eye out for spoilers and images from the set. Here's what we already know about the upcoming season so far. Reality Steve compiled an alleged list of the contestants so far. Though it's not official, it's certainly interesting to peruse. Bachelor alum Ashley Laconetti tweeted out a hint that her friend Nick was on a date at the Backstreet Boys concert, and Snapchats confirmed it was a group date. The recent sighting of Viall and a date at a ferris wheel heavily suggests that there will be a one-on one date at Newport Beach. Other images from the set included Viall on a boat, suggesting he and his date might spend the day at Newport. This is me guessing, really — but since Viall has already been on for three seasons, I imagine that his reality TV friends will show up for at least a moment. Even Kaitlyn Bristowe appeared in JoJo Fletcher's season for a moment! Viall is a Wisconsin native, so I imagine he and some lucky ladies will visit his Waukesha home town near the end of the season. Viall has 10 brothers and sisters, and I'm sure they'll be incorporated in some way. Hopefully, the contestants won't have to memorize his siblings' names. Now that filming of Season 21 of The Bachelor has commenced, I'm sure we'll be getting a lot more spoilers. Or we could sit and wait patiently until the new year, but what's the fun in that?